A CENTURY OF DISSENT! 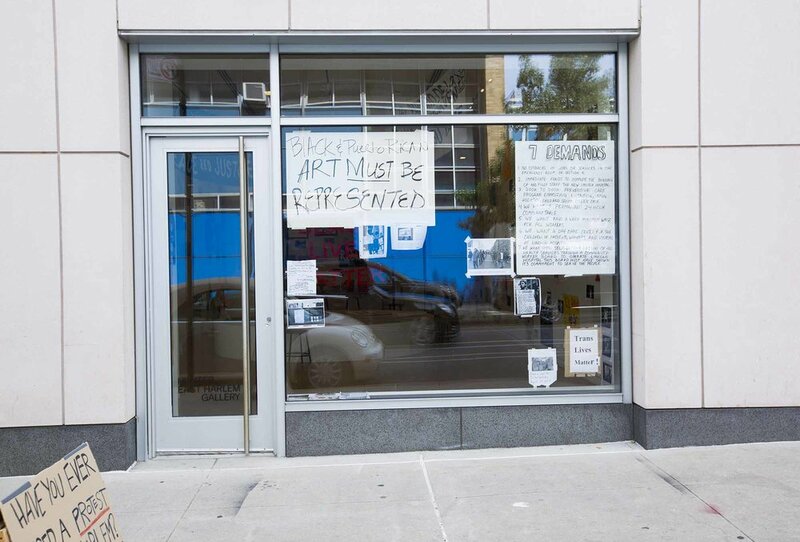 is a summer-long, public art studio designed to collaboratively REMAKE protest signs used in Harlem and East Harlem throughout the past century (and up to the present moment) with Jason Lazarus: Artist-in-Residence at Hunter East Harlem Gallery. Images from Harlem’s history of protests were culled from research (local museum archives, the internet, social media, etc.) and project participants collaborate with Lazarus to select a source image and create a life-size facsimile of the original sign. 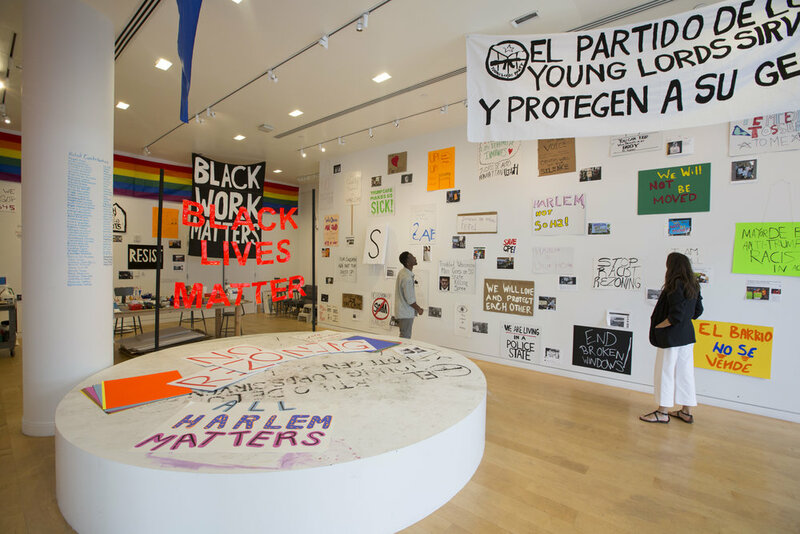 The final project at Hunter East Harlem Gallery was a newly created physical archive that simultaneously presents a multitude of historical moments and messaging, a place for reflection, synthesis, education, and re-examination of the present moment. 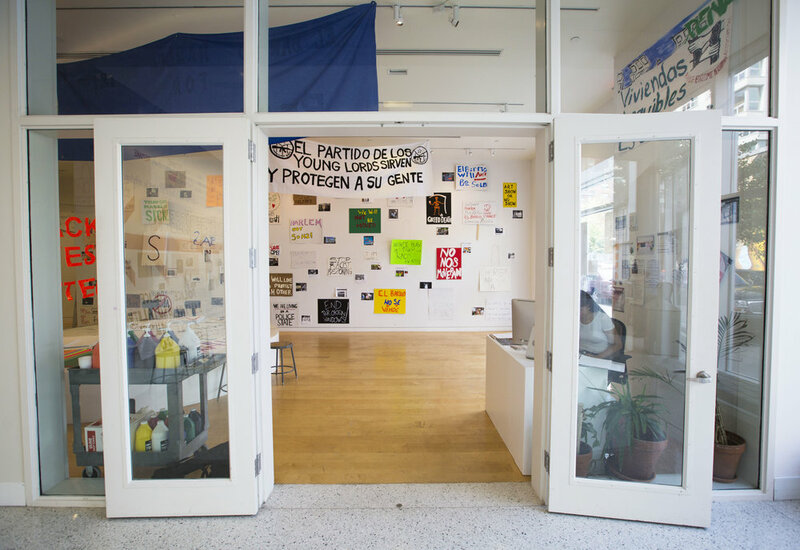 The artist guided visitors and participants used provided materials at the exhibition space, and the gallery was transformed into a summer long working space. Groups of any kind were welcome and all research and materials were provided. 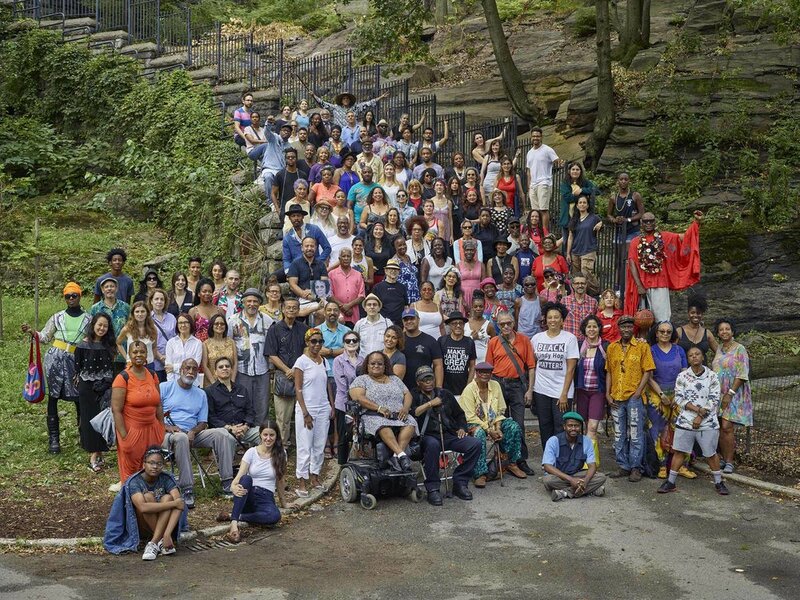 In the spirit of collectivity, the public is also invited to join Lazarus, Hunter East Harlem Gallery, Columbia University's Wallach Gallery and the Marcus Garvey Park Alliance on Saturday, August 5th at Marcus Garvey Park for a group portrait showcasing every self-identifying artist in Upper Manhattan. Jason Lazarus is an artist currently teaching at the University of South Florida (Assistant Professor of Art and Art History) and the School of the Art Institute of Chicago (Low Residency MFA Program Mentor). Since 2003, his work has sought experiential forms and methods to grapple with the politics of representation.